Mountain rescuers were called out after a glider crashed on The Cheviot on the Scotland-England border. Rescuers praised a pair of walkers who cared for the injured pilot until they arrived. Northumberland National Park and North of Tyne Mountain Rescue Teams were alerted at 2.20pm on Sunday after the aircraft crashed high on the south-east side of the hill. A spokesperson for the Northumberland National Park team said: “The teams were immediately called out and a hasty team of two members were deployed on to the hill within 40 minutes to try locate the crashed glider as soon as possible. 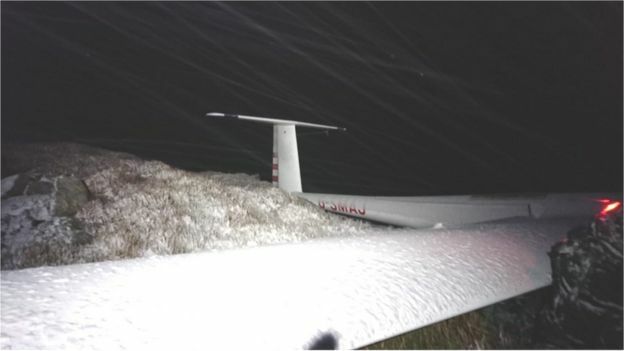 “Progress was hampered by snowstorms and the low cloudbase, which meant the Great North Air Ambulance Service was unable to land near to the crash site. “Further team members with a Bell stretcher, vacuum mattress and winter casualty bag, the medical team from GNAAS and two Northumberland Fire & Rescue Service personnel with lightweight cutting equipment were then airlifted by the Coastguard search and rescue helicopter from Prestwick to Scald Hill. “From there they had to make progress on foot to the crash site. 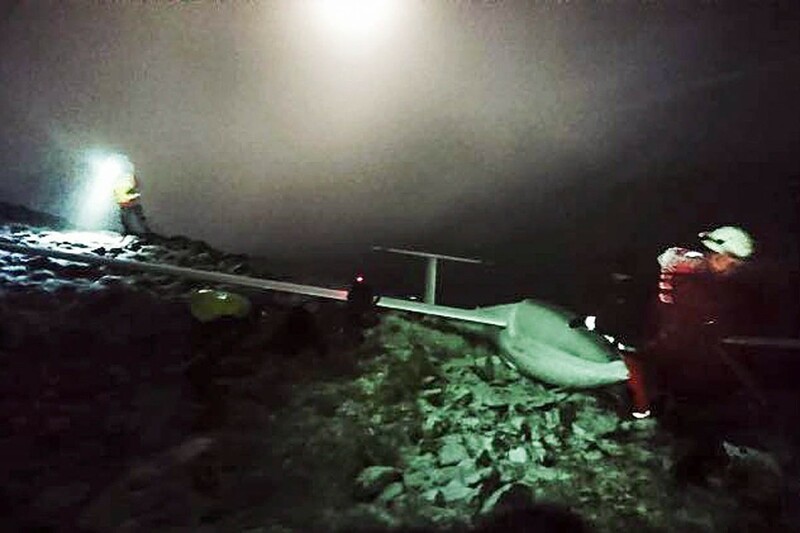 By this time the mountain rescue hasty team had located the crashed glider, after which further mountain rescue hill parties were deployed with technical rope rescue kit to assist with lowering the stretcher to below the cloud base.